Latest known use of any stamp is problematic. Even if a stamp is officially invalidated, an individual who has a copy in a pocket book may use it – and get away with it. No one notices; no one imposes Postage Due. This is really of no great interest. The above item was in the Robert Taylor collection and the images have been provided by Thomas Berger. 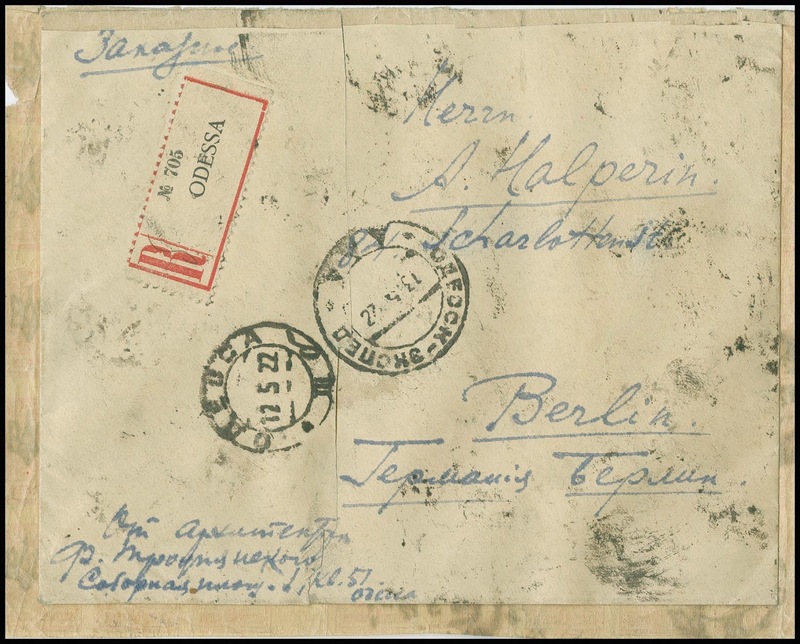 This is a Registered letter which does not look philatelic sent from ODESSA 12 5 22 to Berlin, with a Berlin receiver on the reverse. 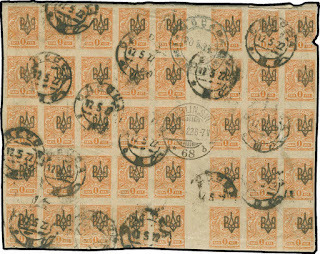 The forty Odessa type 2 Trident overprinted 1 kopeck stamps have been revalued, following the RSFSR scheme to 1 rouble each to yield a 40 rouble franking. 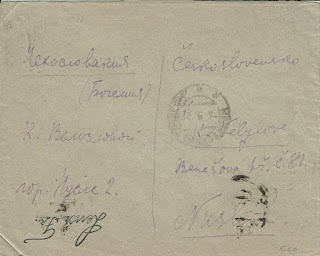 It's possible that the sender supplied the stamps, but for a Registered letter they at least had to be accepted by a post office clerk - the clerk who cancelled them at the counter. And because these are one kopeck yellow stamps, there is no missing the Trident overprint. 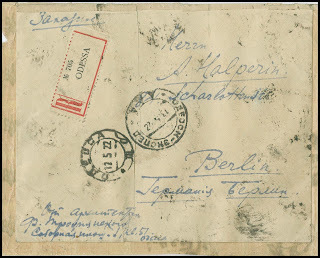 This is also a Registered letter from Odessa to Berlin and again looks non-philatelic. 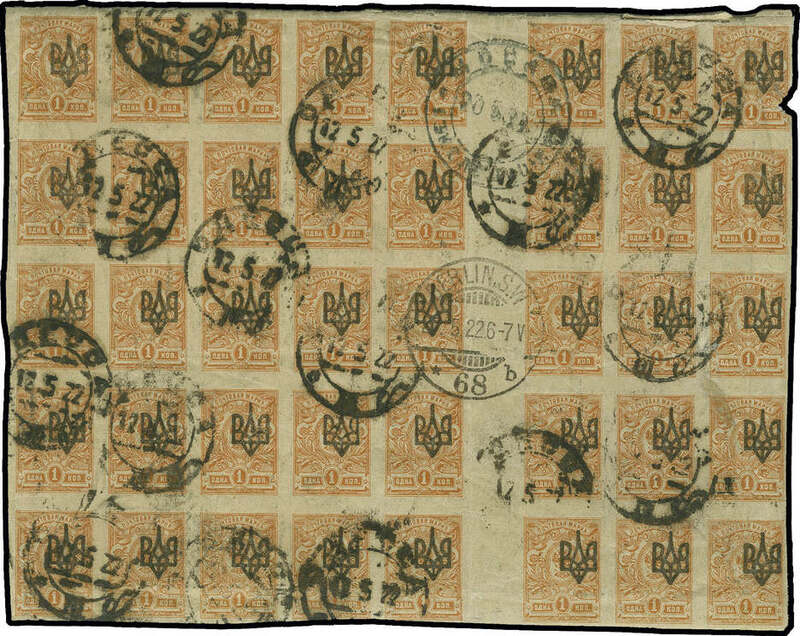 The stamps are cancelled ODESSA 8 8 21. 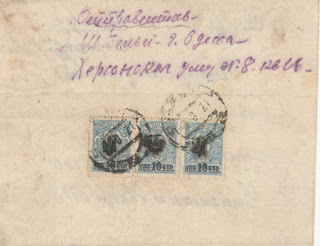 But this time the Tridents are examples of Poltava type 1 - but they are rare stamps, Bulat # 987 catalogued $140 each. 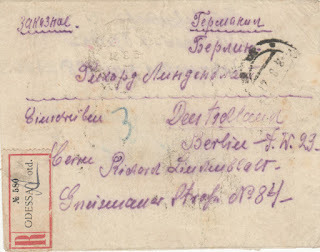 It's true that Poltava tridents were at some time in post offices in Podilia and can be found on official formular cards, so it's possible they were also in Odessa post office. 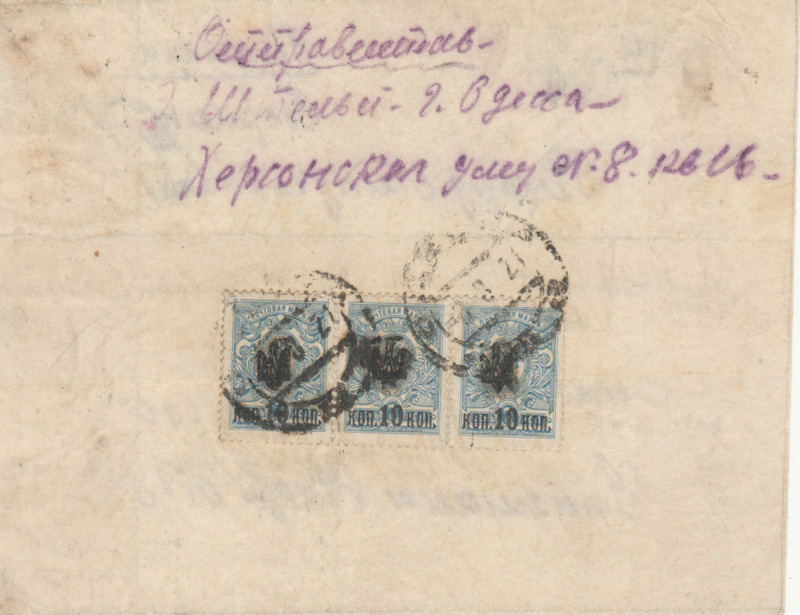 However, the use of rare stamps out of their district of origin does (to my mind) make it less likely that these stamps were being used up by Odessa post office. But the 1921 date on this letter makes it possible (likely, even) that they were used before any official invalidation of tridents. 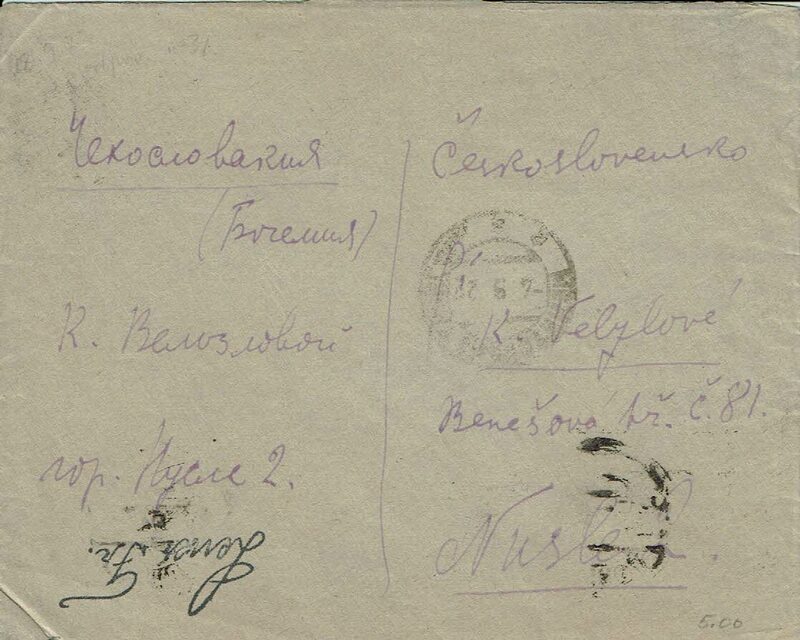 This is an ordinary letter sent from Molochansk, a Mennonite community in Taurida, to Czecholsovakia routed through Moscow. 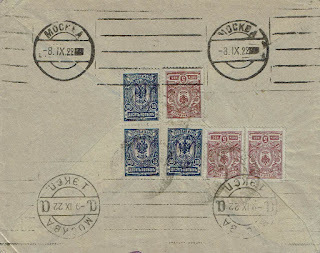 The stamps are cancelled 6 or 7 9 22. Revalued x 100, they yield a correct 45 rouble franking. 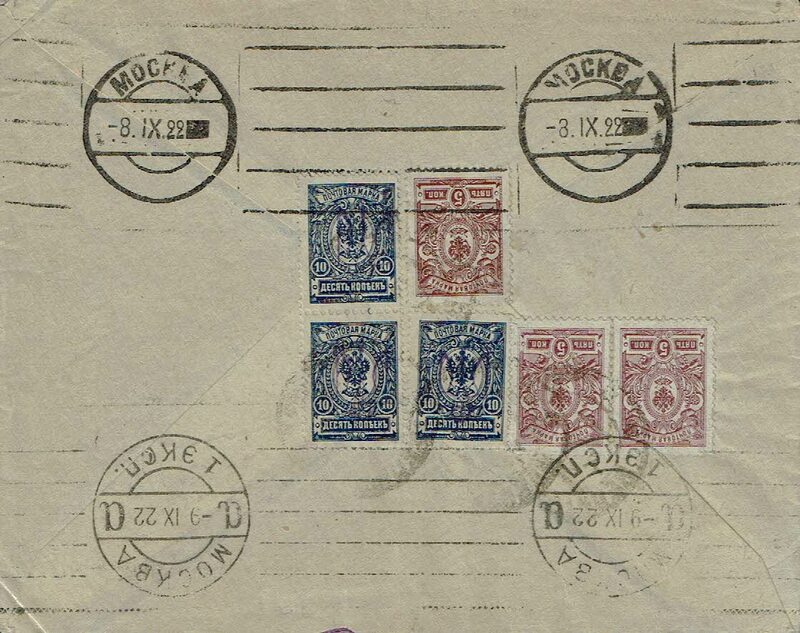 But note ... the three 10 kopeck stamps are overprinted with Kyiv type 2 Tridents, clearly not so visible as on one kopeck stamps and which could have been missed by a clerk. Nonetheless, the letter looks non-philatelic and is the latest recorded date for any use of Trident stamps on a travelled letter. It is a bit problematic that these are Kyiv tridents: those Tridents did find their way into Podilia stamp stocks and maybe into Kherson and Katerynoslav stocks.But you would expect Molochansk to have stocked Odessa or Katerynoslav tridents.